The thing is, I’ve been saying the same thing for five years about what took this fight so long to get signed, and long story short, it’s because Bob Arum wasn’t ready to cash out his fighter yet. It’s always been Arum making the loudest noise in order to sabotage negotiations. It’s always been Arum who’s been afraid—let’s have something perfectly clear. Manny Pacquiao is not afraid of Floyd Mayweather. Floyd Mayweather is not afraid of Manny Pacquiao. We’re talking about the two greatest welterweights of our generation, and the winner of this fight gets to take his place alongside guys like Henry Armstrong and Pernell Whitaker and Sugar Ray Leonard in the conversation about the greatest 147-pound fighters of all time. Manny Pacquiao and Floyd Mayweather are fighters. Fighters aren’t afraid of anyone, that’s why we watch them risk their lives and spend our money for the chance to do so. Bob Arum is a businessman and a petty criminal (but I repeat myself.) Bob Arum knows that a Pacquiao loss means that the last remaining question left unanswered, the one that is always in the shadows of a Pacquiao fight to drive up the gate and the pay-per-view buys, is whether his guy can beat Floyd Mayweather. Win, and it’s a nice bump to an already high revenue stream. Lose, and the gravy train derails and spills delicious gravy all over the ground, never to meet a turkey leg or a roast. 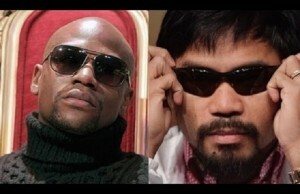 Tens of millions are lost for Pacquiao if Floyd wins this fight. Bob Arum is no fool. He’s a skilled risk manager, which is basically a casino wiseguy turned up to eleven, and he knows the numbers. From Manny Pacquiao’s risk-reward perspective, this fight just didn’t make business sense until one last cash-in was the worst-case scenario. 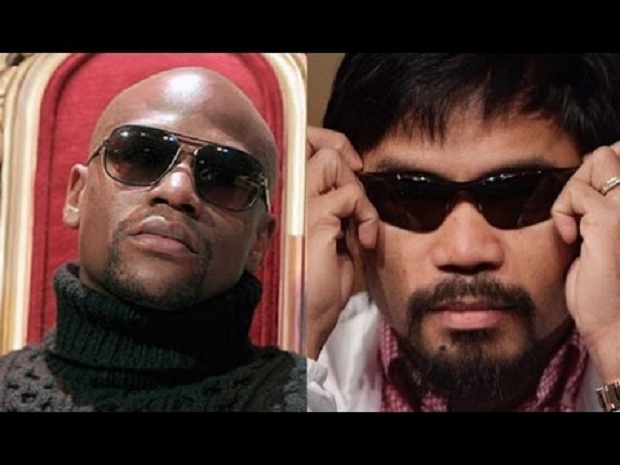 Floyd Mayweather is the worst possible style matchup for Manny Pacquiao. Manny cannot beat a great counter puncher, at least not decisively. Manny’s Achilles heel has always been guys who refuse to engage with him on his terms. Picture Manny against Pernell Whitaker. Only the most ardent Pactard would think Manny would have a ghost of a chance in that fight. Whitaker would box circles around Pacquiao, potshotting, countering, cruising to an easy unanimous decision if not a knockout when one of those counters caught Manny flush the way Juan Manuel Marquez (who is, in many ways, the poor man’s Whitaker) did in the fourth fight. Well, guess who draws comparisons to Pernell Whitaker all…the damn…time? That’s right, Floyd Joy Mayweather Junior. Mayweather is the best counter puncher at any weight class in the 21st century and deserves a place in the argument with guys like Willie Pep and Whitaker and Harry Greb as the greatest defensive fighters of all time. 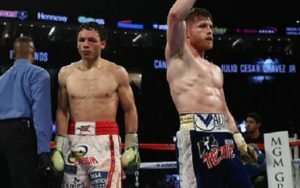 Mayweather is, at worst, the rich man’s Marquez (as was in evidence when those two men stepped in the ring against each other and Floyd out-countered the counter-er.) At best, he is the pinnacle of the very style of fighter that Manny Pacquiao has never (not once) knocked out, and, oh by the way, which style appears only on the rarest of occasions outside of Juan Manuel Marquez on Pacquiao’s resume. Look at the guys Manny’s fought. Almost to a man, they’re guys who are action fighters, who try to trade shots with a guy who can overpower them, guys who (as Teddy Atlas says) get offended when you miss ’em. 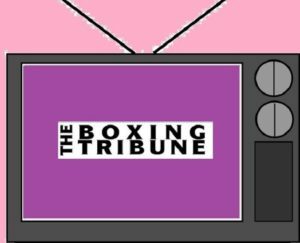 Brandon Rios, Marco Antonio Barrera, Erik Morales, Antonio Margarito…see a pattern developing? Floyd Mayweather isn’t stupid. You don’t get to 47-0 fighting stupid unless you’re fighting hobos and freight yard bouncers—and even guys who do that eventually have to step up, and it tends to happen before their 47th fight (*cough*Deontay Wilder*cough*) Even Joe Calzaghe had some decent names among his 46 defeated opponents. Mayweather knows that his O (and, one presumes, his desire to retire at 50-0 and one-up Rocky Marciano) is his most precious asset, and he knows that his best way to keep that O is to outbox the man in front of him. 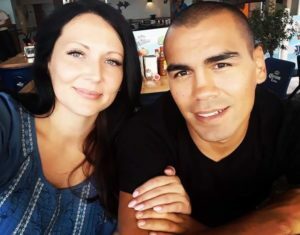 He’ll have a strong, intelligent fight plan and he’ll stick to it, countering, maneuvering, moving his head and using his footwork to keep Manny Pacquiao guessing. Five years ago? Manny had a puncher’s chance but I believed that Mayweather would knock him out in four by walking him into a counter shot. Today? Well, Floyd’s power ain’t what it used to be, so I don’t think he can drop Manny unless he catches him just right the way Marquez did, but there is no doubt in my mind that Floyd will win this fight by decision—probably a split decision as the Mayweather camp hand-picks one judge, the Pacquiao camp picks the second, and much hand-wringing goes into making sure the third one’s as objective as humanly possible. Bank on it—Mayweather by majority decision. Bring on the haterade, Pacland. I’m going to force you guys to actually read my other stuff to find the email address to harass me, though—for the first time, I’m signing off without my usual end slug. Those of you who care, you know where to find me tomorrow.